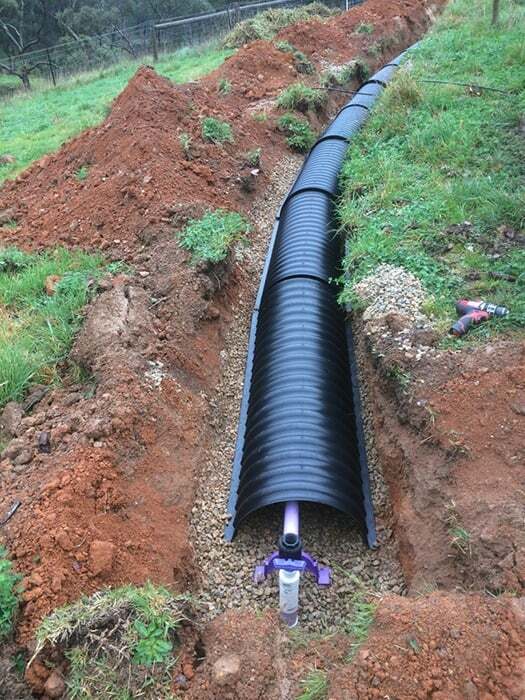 We provide an improved version of the conventional trench system: the pressure dosed infiltration trench. These trenching systems can be used in sandy to loam soils (Category 1-3 soils). 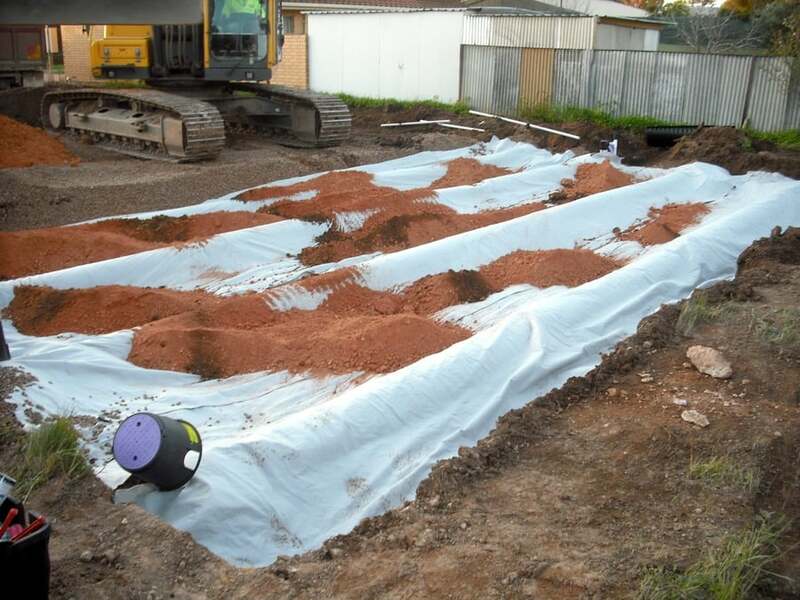 The system involves a number of trenches being installed for the dispersal of the treated effluent. The top of the trench is typically planted with a lawn grass which uses some of the treated water for evapotranspiration. 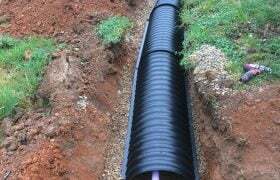 The pressurised distribution system allows for the even dispersal of water along the length of the trench (no pooling). 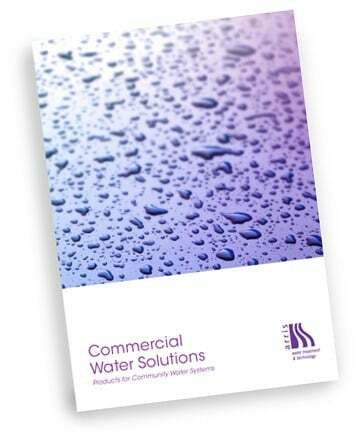 It also means that trenches can be dosed with water in an alternating sequence through a distribution valve. 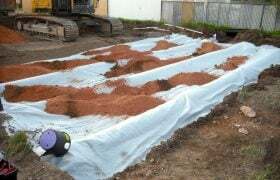 This allows trenches to dry out in between doses which encourages healthy aerobic soil conditions. This in turn helps to maximise the evapotranspiration rate and maintain the soil permeability over time. The pressure dosed infiltration trench is approved under AS 1547:2012 and is a marked improvement over the conventional trench design.